In the second lecture of the RAF Museum’s 2019 series of Cold War Lunchtime Lectures, Dr Roy Doron will discuss the Politics of Air Power during the Nigerian Civil War. The question of air power during the Nigerian Civil War is fraught with complications and contradictions. On the one hand, Nigerian air strikes on Biafra helped fuel the Biafran government’s argument that the war was little more than a genocide against the Igbo. These claims of genocide also sparked the large-scale airlift that brought supplies to the besieged enclave. 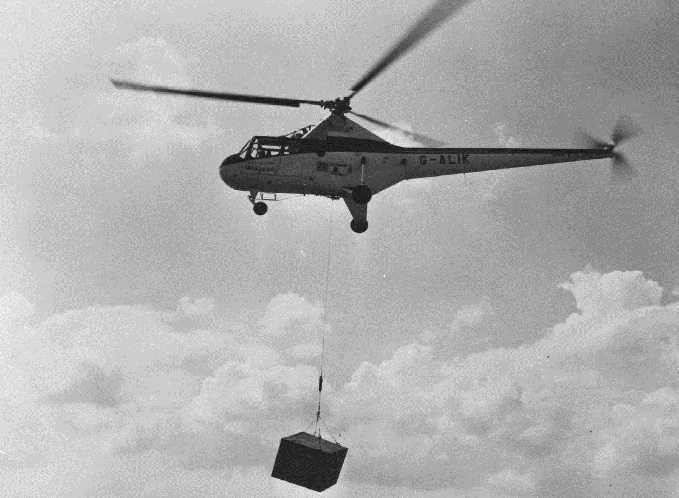 Along with much needed humanitarian relief, the airlift received massive global attention, further amplifying Biafra’s message around the world. However, like much of the conflict’s literature, the discussion of the air war ignores much of war's military realities. Though both sides of the conflict possessed little air power, the air war itself became a central aspect of the political and psychological aspects of the war. Despite the fact that the air campaign in the war was relatively small and tactically inconclusive, it proved an important strategic factor throughout the conflict. Because Nigerian sorties were largely flown by foreign pilots, mainly Warsaw Pact and well-paid mercenaries, the air war has largely been viewed as tangential to the broader conflict. However, because airpower echoed the war’s progress examining it within the war’s broader context explains how the conflict, which began as a 48-hour police action, evolved into a thirty-month conflict that cost over one million lives. This talk fully integrates all aspects of the air war into the broader conflict, focusing on the changing nature of air operations during the conflict. The lecture will be held at the Royal Force Museum, Cosford at 12:30pm on Friday 7 June 2019. Roy Doron is Associate Professor of History at Winston-Salem State University. Before his appointment at Winston-Salem, he taught at the University of Texas at Austin where he completed his doctorate, and Southwestern University in Georgetown, Texas. His research looks at the history of war and conflict; specifically how military and state relations help shape identity in Africa. His first book, a biography of Ken Saro-Wiwa (co-authored with Toyin Falola), was named a ‘Choice Reviews’ Outstanding Academic Text for 2017. He is currently completing a history of the Nigerian Civil War, and has previously published on many of the individual aspects of that war. His work has appeared in edited volumes, as well as the ‘Journal of Genocide Research’ and ‘African Economic History’. He is also founding editor of the ‘Journal of African Military History’. He lives in Winston-Salem, North Carolina with his wife and newborn twins.